After getting a dramatic redesign for the 2018 model year, the Expedition hasn’t left much room for improvement. Still, Ford has managed to find a way to fine tune the SUV for the 2019 model year with a series of updates to the lineup. 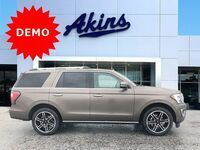 See what new features can be found on the 2019 model with this comparison of the 2019 Ford Expedition and the 2018 Ford Expedition. A few features get shifted around the Expedition’s trim structure for 2019. On the base-level XLT, Ford added a revised seating material and traded the standard dual-zone climate control in for a three-zone system. The previous Sync Connect system has also been replaced by FordPass Connect, meaning users can now access real-time traffic information and utilize a 4G LTE mobile hotspot. The top-level Platinum now has bright roof-rack rails and end caps as standard. 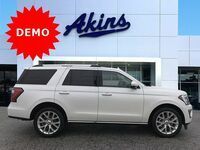 Topping the 2019 Expedition’s list of updates, Ford has added 3 package options to the Limited trim level. Read on to learn more about the new package options and what each has to offer. What’s New in the 2019 Ford Expedition? 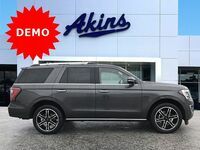 New for 2019, the Stealth Edition package brings a bolder and more upscale appearance to the Expedition Limited. The blacked-out edition gains a series of darkened exterior features with a Gloss Black Treatment on the five-bar grille, power-deployable running boards, tailgate applique, rear bumper skid plate and trailer hitch cover. The model’s 22-inch premium black-painted wheels are blessed with a continuously controlled damping suspension. The package ties the arresting look into the interior with unique Red accent stitching. Striking black EXPEDITION lettering brandishes the model’s hood with unwavering pride. The Special Edition and Texas Edition Packages bring an impressive boost in capability to the Expedition Limited. 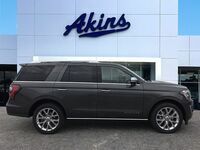 Both packages offer the model a 360° surround-view camera system with split-screen functionality, an enhanced self-parking feature, LED headlights and fog lights, added cargo accessories, heavy-duty towing equipment and 22-inch premium black-painted wheels. The Texas Edition sweetens the deal, adding distinct badging that pays tribute to the Lone Star State.